Character - Droid. Points: 15/20. Health: 12. 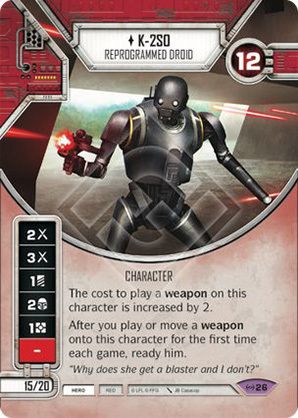 The cost to play a weapon on this character is increased by 2. After you play or move a weapon onto this character for the first time each game, ready him. "Why does she get a blaster and I don't?"